Technology has come a long way for medicine. It brings new ways of exploring the human body with 3D models and powerful images. 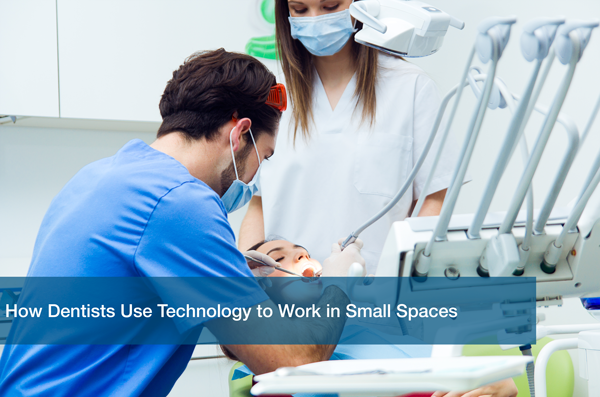 Dentists have limited space to work with and rely on applications to help their patients. Applications make it easier for patients to get faster results. Improving the customer experience is the top priority for professional Dental offices. You want to make sure everything is easy for the patient to understand. Have your patients leave your office feeling empowered and armed with the right knowledge to feel better. Our previous blog post already talks about some apps that can improve Doctor-Patient Relationship. Check it out afterwards to discover more tools that have helped our local Austin Dentists connect with their patients. Laser Dentistry is a tried and true tool that improves efficiency and eliminates discomfort. It produces a narrow, intense beam of light energy that can remove or shape tissue. It’s fast and painless for patients. It can effectively eliminate any form of bacteria to avoid any further complications. Dental lasers are used to help treat infections in root canals and expose wisdom teeth. They also aid in the treatment of gum disease. For these reasons, many offices today are using Laser Dentistry to help give their patients a better dental experience. Eprocates Rx is the ultimate tool for Dentists. Think of it as a pocket guide of everything and anything having to do with Dental Health. This fountain of knowledge will become your new best friend. Eprocates is a free mobile clinical reference library that includes drug guides, drug interaction checkers, and disease information. This app is the perfect companion for any Dental office. Eprocates also includes insurance codes to aid patients with insurance coverage and plans. Explore more features on their website Eprocrates Rx. Need help setting it up? Contact our IT Support team for a consultation today! DDS GP is an application that helps present treatment plans to patients. It helps them gain a better understanding of required treatment. Dentists can built customized plans for individual patients to help with their unique situations. The app includes over 200 beautifully illustrated demonstrations to help patients understand their diagnosis. This app is used in over 13,000 dental offices today in many different languages. DDS GP is chair side consultation at your fingertips. To find out more about their content and prices, visit their website DDS GP. Computer Assisted Design, or CAD, is a computer software that provides highly accurate designs for items or materials. It helps Dentists design and fabricate dental restorations that resemble the look and feel of natural teeth. CAD can be used to design inlays/onlays, porcelain veneers, crowns, and much more. Build the perfect prosthetics for you patient. CAD is one of the highly competent dental lab technologies. It increases the convenience and speed of design to help get your patient on their way. One of the biggest problems that our Austin Dentists deal with is data security. Their top priority is to ensure that their patient’s sensitive data is secured. Dentist offices offer online portals that patients can log into to check on lab results and view prescriptions. Our IT support team can help protect those online portals from external threats. We can ensure that your data stays safe within your network. Take advantage of our free IT analysis. Complete our online form to schedule a free IT Analysis today! It is important to have the best technology at your office to make the visit easy and comfortable for your patients. Present the information in a way that is easy for the patients to understand. Their health is your top priority. Here at ITC, we offer IT support so companies can have peace of mind. Let us worry about the technical aspect so you can get back to what really matters.